Pretty much any beard oil is going to have the right carrier oils to soothe and moisturize dry skin and help eliminate "beardruff." The real trick to finding the best beard oil is landing on a scent (and scent intensity) that appeals to you — as well as anyone getting up close to your face. We rounded up the 19 most buzzed-about beard oils, tried them out, and pinpointed their scents to help you find which one's right. 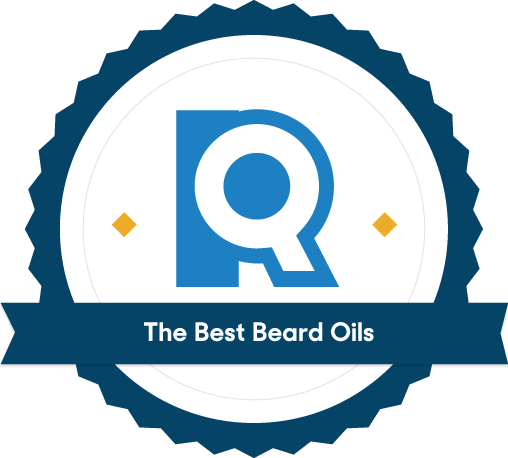 We wanted to dig into the most popular and widely available beard oils around. 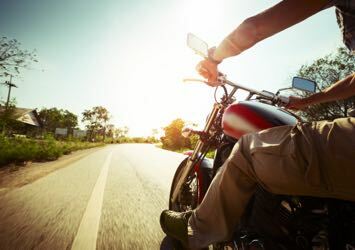 To get there, we made a list of every oil that scored at least 4.5 stars on Amazon from at least 100 reviews and asked renowned barbers which beard oils they and their customers swear by. That gave us 11 contenders. Then we did a second sweep, scouring the web for consumer reviews and lurking on beard forums (yes, they exist) looking for hidden gems. That process gave us eight more prospects, bringing our total beard oil contenders to 19. The best beard oils are lightweight and absorb easily into your skin rather than sitting on the surface. While everyone’s skin is different (so there’s no way to guarantee certain oils will absorb more effectively into your face), the comedogenic scale provides some helpful insight. Cosmetic chemists use it to estimate a substance’s propensity to clog pores on a scale of zero to five (with zero being the least likely). Since we’re recommending beard oils for a general audience, we tested low-comedogenicity oils only — those with a score of three or less. It turns out that the biggest difference from oil to oil is scent, and finding the best is really just finding your favorite. We noted five different scent profiles in our testing: woodsy, tobacco, herbal, citrus, and unscented. Just like choosing a cologne, intensity is a matter of personal preference. That bite? In practice, it’s more a gentle tingle — of both the nose and skin — that Mr. Dandie, the bearded operations director of Toronto-based all-natural skincare company Skindew, says is a common effect of essential oils like peppermint and black pepper. In our testing, even the oils without much “bite” varied in scent intensity, from a waft of chocolatey tobacco that faded as the day went on, to a potent blend of cedar and spruce that verged on air freshener. Both men and women loved its mix of sandalwood, citrus, and rosemary. Its scent is milder than most but lasts all day. Our overall favorite oil is Rhett's Beard Oil, an apricot- and hempseed-based formula that left our beards pleasantly soft and itch-free with no greasy residue. Though not as common as some other carrier oils, Rhett’s top ingredients are both non-comedogenic — lightweight enough to use everyday, without clogging your pores. Hempseed oil is rich in Vitamins A, C, and E, and the fatty acids in apricot oil make it particularly good at soothing dry skin. Nearly all of our testers loved Rhett’s “beastly but balanced” mix of sandalwood, citrus, and rosemary. Also, no other oil we tested won over as many noses — Rhett’s was simply our favorite smelling, bar none. We’re not alone in our praise, either. Amazon customers gave Rhett’s an average rating of 4.7 stars, with more than 280 verified Amazon reviews. The fact that it costs only $16 an ounce is just one more thing to like. 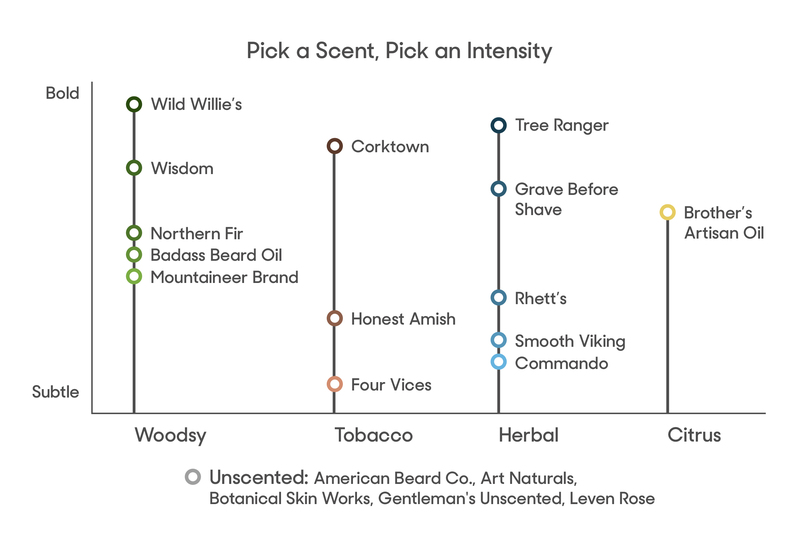 Rhett’s woodsy scent is definitely a bold enough one that you’ll catch whiffs of it all day — something one of our testers found to be too much. If you want all the lushness without the lingering aromas, check out the Leven Rose Fragrance-Free. Prefer to avoid scent altogether? Leven Rose is just the good stuff — organic jojoba and argan oil. Not only are jojoba and argan oils renowned for their moisturizing, antibacterial and antioxidant qualities, but they boast a combined comedogenicity score of less than one. That translates to a light, easily absorbed elixir that left our skin and beards feeling smooth and well-nourished. If you’re someone who prefers using organic products, Leven Rose has the added benefit of being 100% organic. If simple and pure is your bag, Leven Rose is a great choice. Given that everyone’s beard and skin are different, some guys may end up preferring a slightly heavier oil. Some users note that Leven Rose seems to “dry” fairly quickly due to its low comedogenicity score. That’s preferable for some, but not all. A tobacco-vanilla scent that's bold in every sense. Our most intense pick comes in an unusual clear square bottle. Detroit Grooming Co. Corktown Beard Oil has one of the strongest scents of any we tested. The essential oils that join the sweet almond vitamin E carrier oils are unnamed but distinctive enough to identify: vanilla without a doubt, with a heavy splash of tobacco and cedar. While its intense scent means it didn’t achieve Rhett’s across-the-board popularity, those who did like the scent loved it. Is it a little arbitrary to recommend a beard oil based on looks alone? Sure. But in a medicine cabinet lined with brown apothecary bottles, Corktown stands out in a square-shouldered clear glass container without an eye dropper or even so much as a limiter cap. It’s sturdy. 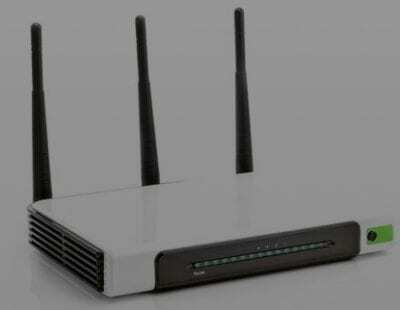 It’s elegant. If you’re looking for a beard oil to give as a gift, this one is certainly eye-catching. 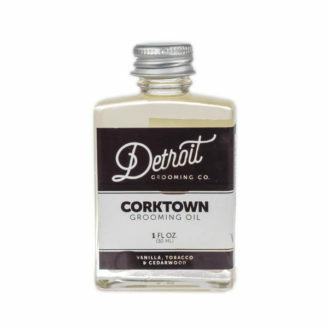 At $22 for a 1-ounce bottle, Corktown is more expensive than our other picks, but if you’re looking for a beard oil (or a gift for a bearded bud) that really stands out, this is it. Our most subtle pick has notes of tobacco, clove, and black licorice, but the scent fades quickly. 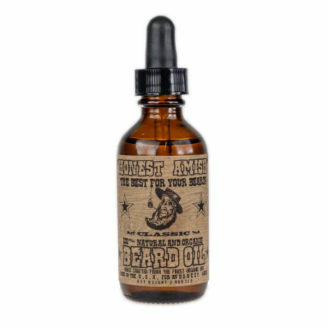 Honest Amish Classic Beard Oil gives you the vitamin-rich goodness of avocado, pumpkin and almond oils (avocado in particular is rich in fatty acids and vitamin E). It rounds out the oil blend with moisturizing apricot, plus a touch of jojoba, argan, and kukui. The blend is refreshingly lightweight and all of our testers reported it moisturized their skin and beards without leaving greasy residue. Avocado oil, the main ingredient, also ranks low on the comedogenicity scale, at just 2, meaning it’s easily absorbed and unlikely to trigger breakouts. At $14 for a 2-ounce bottle, you really can’t beat the price of Honest Amish. We love the oil, but another thing we really like is the packaging. Other budget oils come in plastic bottles that look and feel cheap; Honest Amish is packed in a brown glass apothecary bottle with a glass dropper, like a supersized version of the more expensive oils we tested. Not everyone wants their beard’s aroma to linger throughout the day, but if you do, you might be disappointed at how quickly Honest Amish’s scent fades. 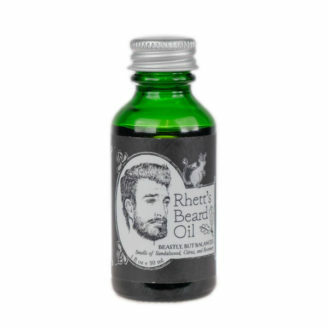 That said it’s not even a particularly strong scent when you first apply it, so if you’re into fragrance you probably want to stick with Rhett’s Beard Oil. Most beard oils are priced between $15 and $20 an ounce, and a little tends to go a long way. 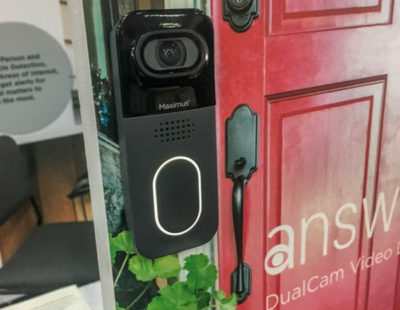 But if you have a really big, bushy beard that you oil every day, you may want to economize with something like the value-priced Honest Amish. On the other hand, if you love the idea of impressing the noses of your special occasion dinner companions, it may be worth it to spend a little more. We learned in our research that the biggest difference from beard oil to beard oil is scent: what it smells like and how intensely. Do you want something bright and citrusy? Warm and rich? Fresh and tingly, almost to the point of astringent? We know all of these are available because we tested them all. But only you know what you like best. None of the oils we tried irritated our skin, caused redness, or triggered acne breakouts in our testers. But to be safe, always test a couple of drops on the inside of your wrist before committing to a full-face rubdown. “If you’re allergic or even just sensitive, you’ll know within a half-hour,” Dandie says. Beards collect and camouflage all manner of nasty stuff, from food to dirt, while shading your face from solar rays that kill bacteria. That can result in a variety of undesirable side effects, notably dry skin and comedones — enlarged beard follicles filled with dead skin debris and your body’s natural sebum oil. You probably know them as blackheads. 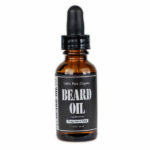 The vast majority of any beard oil, typically more than 90%, consists of carrier oils. These base oils soften your whiskers and help to tame, if not completely eliminate, beard itch. Carrier oils also moisturize and nourish your skin. Are some beard oils less skin-clogging than others? There’s no way to be certain which oils will absorb most effectively without triggering a breakout — everyone is different — but the comedogenic scale is a good place to start. Cosmetic chemists use it to estimate a substance’s propensity to clog pores on a scale of zero to five. The lower the number, the less likely to trigger a breakout. A low comedogenic number often corresponds to an oil that is chemically similar to the natural sebum oil your skin creates. That’s a key quality for beard oil, says Craig Chapman, a PhD chemist and lifelong beardsman. “Ideally a carrier oil should be as close in molecular composition and pH to the oils produced by your own body.” All the products we tested used carrier oils rated 3 or lower. Experts recommend applying beard oil right after you shower or wash your face. That’s when your beard and the skin below needs moisture the most. Applying it is simple, just make sure your face is completely dry so the oil can absorb. Put a couple of drops in the palm of your hand, then rub your hands together so the oil is evenly distributed. Then, gently rub your hands back and forth along the sides, down the front, and through the bottom of your beard. Finish with a beard brush or comb to smooth the hair.